Here is the list of the most popular companies that provide email autoresponder tools – the programs that send a pre-written reply to anyone sending a message to the autoresponders e-mail address. 1AutomationWiz – is an automated e-commerce solution which provides autoresponders, shopping cart, merchant accounts, ad tracking, case studies, affiliate tracking software, digital delivery software, broadcast email software. This software reduces your daily effort & costs. 1AutomationWiz checks your email, newsletter or any other mailing before you send it so you’ll know if your message contains any “red flags” that might keep your email from getting caught in a spam filter, allows you to enter a Text and HTML message, send it, and then your client’s mail program will decide which one they will receive. There are no limits on the amount of mail you send, no limit on the number of mailing lists you can set up in your account, no size restrictions. Auto-Responders.net provides automatic responder services will automate your tedious online marketing efforts, chop hours off needless work, and dramatically wind up your sales by as much as 450%. Autoresponder UK will quickly and easily generate a simple signup form for your website so your web-visitors can enter their details into your newsletter form whilst they are browsing. 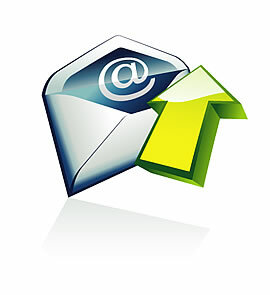 The Autoresponder stores this information securely in your account allowing you to follow up automatically with your own pre-written email newsletters leading to a highly effective email marketing campaign for your UK business. Aweber – is a tool to capture visitor sign ups, send unlimited follow ups and newsletters, increasing your profits. Unlimited campaigns, lists, follow up messages, and newsletters. It has HTML creator and /or plain text message capability, a web form generator, a wide range of HTML email templates that allow larger fonts, bold, colors, and images. Easy web form generator allows easy addition of opt-in forms to your website, pop-ups, pop-overs, hover pops, and exit pops along with split testing of different forms. Easy Responders provides a reliable, easy to use Visitor Sign Up tool. It will help you to convert your web site visitors into prospects and paying customers. You can create a huge mailing list using your site, simply add a form and watch your list grow. Free auto responders and email marketing tools. You can get as many auto-responders as you need. FreeAutoBot will help you to increase your sales. It automatically sends e-mails to everyone who requests further information from your e-mail marketing campaign, web site or banner-advert within seconds. FreeAutoBot posts a continuous series of follow-up e-mail’s to each of these leads. Get Response – is an easy, web-based email marketing software that delivers your campaigns, offers, newsletters, follow-ups and autoresponder messages. GetResponse provides you with unlimited email marketing campaigns, autoresponders, follow-ups, lists and broadcasts. You can choose from more than 150+ professionally designed HTML templates. You can include graphics, spreadsheets, Word or PDF Document, audio and video. GetResponce allows you to choose the language of the message. With Maxsponder you can follow up with prospects who ask for further information on your product or service and have several opportunities to hammer in the most important benefits of your product or service. You can use it for a multi-part timed training course or reinforcement program. Use it to upsell a customer from a free service to a paid service by reminding the customer of the great additional value of the enhanced service. Responders.com You can put a request form on your site and get responses immediately. Ask your viewers up to 10 questions online, and get an email in seconds with all the answers. you can create a Request Forms in 2 minutes. Enter up to 10 questions you’d like to ask. SendFree is a marketing tool that saves your time by automating the process of delivering requested material to your customers. SendFree autoresponder account unlimited follow up autoresponders, HTML compatible, that close sales with less effort. When a person subscribes for a newsletter series, is the autoresponder able to send a series of 52 newsletters (1 through 52) to that single email account? When a second person at a later date subscribes for a newsletter series, is the autoresponder able to send them the same series of 52 newsletters (1 through 52) as it’s own individual cycle to that 2nd email account? What a facinating article. I’m looking for a marketing expert to help with a project, could you help?